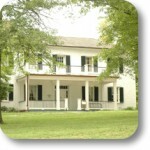 The War of 1812 Exhibit is at the Bissell House. The War of 1812, is often referred to as the second American Revolution. On June 18, 1812, the US declared war on the British Empire. Reasons included trade restrictions, impressment of sailors and humiliations on the high seas. This was the first time the United States had declared war. You can view an exhibit on the oft forgotten conflict at the Bissell House Museum and get a tour of this magnificent old house. The exhibit includes descriptive panels from the Museum of the U.S. Navy, General Daniel Bissell artifacts, including the field desk that he used during the war, and prints from the Company of Military Historians. The museum, at 10225 Bellefontaine Road, will be open from 10 AM to 3:30 PM every Friday or you can schedule a visit any other day by calling (314) 544-6224 or (314) 544-5714. Cost of the tour is $5 per person. Children are free.